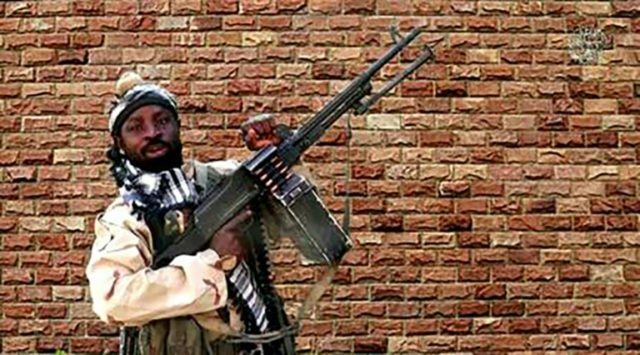 Boko Haram jihadists continue to wreak havoc in Nigeria less than two weeks after Abuja again made the false claim that it annihilated Boko Haram, this time telling the United Nations General Assembly that the jihadists “no longer hold any territory” in the African country. Boko Haram insurgents annexed 14 Local Governments in Borno in the North East of Nigeria. However, on assumption of office in 2015 [Nigerian] President Muhammadu Buhari ensured the recovery of the annexed territories. Today, Boko Haram insurgents no longer hold any territory in Nigeria. The Buhari administration has repeatedly claimed to have defeated Boko Haram only to have the group continue to carry out deadly attacks soon after the allegation. This time is no different. On April 30, the Nigerian president told Voice of America (VOA) that the Boko Haram jihadist threat is fading in his country. Suspected Boko Haram terrorists carried out an attack the day after Buhari alleged that the group has dwindled to a trickle, killing up to 27 people and wounding another 56 in and around a mosque in Adamawa state, which borders Borno state, the jihadi organization’s birthplace. President Buhari himself acknowledged the ongoing Boko Haram threat during his visit to the White House on April 30 — only a few days after the African country’s ambassador to the U.N. alleged that the group no longer controls territory. On May 7, the Nigerian military announced that it rescued more than 1,000 people held hostage by Boko Haram in Borno state, yet another testament to the ongoing menace posed by the jihadi group. The U.S.- backed Multinational Joint Task Force, made up of troops from countries affected by Boko Haram — Nigeria, Cameroon, Chad, Niger, and Benin — helped to secure the release of the prisoners, mainly women and children. Also on May 7, U.N. Secretary-General António Guterres “strongly condemned” a Boko Haram attack that targeted a village in the Nigerian province of Kaduna. According to media reports, at least 51 people – including children – were killed in Saturday’s attack on Gwaska village, located about 230 kilometers (140 miles) north-west of the capital, Abuja. The war against Boko Haram has left 20,000 fatalities in its path and displaced an estimated two million others.